Since I wrote about BitConnect (BCC) in this post, I’ve found other cryptocurrencies which are copycats (i.e., clones) of BitConnect. I wrote about one of these copycats, Regalcoin (dubbed ‘BitConnect 2.0’), in this recent post. Unfortunately, the success of BitConnect (now #10 on CoinMarketCap) and Regalcoin (ranked #61 on CoinMarketCap) have inspired more copycats. In this post, I’m going to bring your attention to six other copycats. I’ll be updating this list if when new ones pop up. Edit #1: There’s a great thread here which lists out all of the most obvious scams in the cryptocurrency space, as well as YouTube promoters who have promoted at least one scam. Edit #2: A lot of these copycats have disappeared during the downturn at the start of 2018. Where possible, I’ve replaced dead links to point towards archived versions. In a recent tweet, BCCponzi brought three copycats/clones to my attention. Since first writing this, BCCponzi has bought another copycat to my attention. More are popping up all the time. I’ll be updating this list when they do. Note: This isn’t intended to be an in-depth analysis, but just a quick overview of the copycats out there. Currently running their ICO over October, HextraCoin is looking to raise $9.2million (9 million coins offered). Looks to be a straight-up clone of BitConnect, with a lending system which offers up to 48% returns per month and an affiliate program which offers a strong incentive to recommend the service to others (you receive 8% whenever someone you directly refer lends on the platform). This seems to have raised close to $5million in their ICO (5 million coins offered) which is (apparently) now closed. Again, looks like a straight-up clone of BitConnect, which offers returns of up to 45% per month and has a pyramid-shaped referral system. ICO begins on the 14th October 2017 and will offer 17.5million coins. I’m not clear on exactly on the price they’re selling each coin for, but this thread seems to suggest they’ll be $0.46 per token. If they sell all of their ICO, this equates to a raise of about $8million. Offers returns of up to 35% per month if you lend to their “crypto-analytic trade automation engine (CATA-E)”. Of course, it also has a referral program! Their site pretends to be something else, but it looks exactly the same as BitConnect under the hood. Sure – definitely “not a Ponzi”. 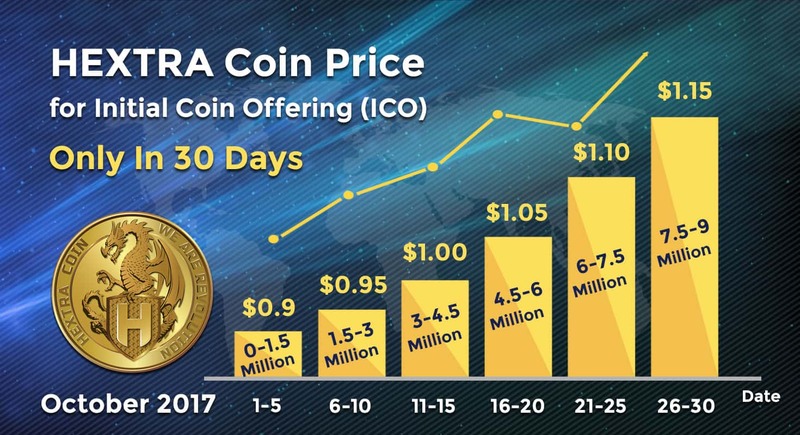 ICO began on the 13th October 2017 and offers 2.5million coins in an attempt to raise $2.5million. Designed just like BitConnect, offering returns of up to 1% per day (plus more if you ‘invest’ more). Offers a referral system, with an ‘elite tier’ for YouTube promoters. ICO begins on the 15th October 2017 and will offer 6.25million coins in an attempt to raise just over $6 million. Any of these 6.25 million coins not sold during the ICO will (apparently) be burned. Attempting to raise just over $6million. Returns of up to 46% per month are advertised with a minimum investment period of 180 days, regardless of how large your investment is. An initial offering of 5 million coins at $0.5 each in an attempt to raise $2.5million. As of 16/10/2017, they have sold 336,000 coins. According to their whitepaper, the presale ends 10th November 2017. Returns of up to between 1% and 1.5% are advertised, depending on your investment amount. Lock-in periods of between 175 and 100 days, depending on your investment amount. Can’t find any details on a referral program, although something will likely make an appearance in November. There’s also some blatant copy/paste in their whitepaper from BitConnect. Although they claim to be selling 6 million coins, their date ranges suggest they’re actually raising 6.4 million (I almost don’t believe it, so please correct me if I’m wrong). If I’m right, they’re attempting to raise over $4.5 million in the pre-sale, which ends on 16th November 2017. This number might be slightly off, as their raise is active for 33 days, but they’ve ignored the 31st October for some reason. 200k available each day of the raise. Numbers don’t add up. Apparently 1) October 31st doesn’t exist, or 2) They’ll be busy trick or treating. Lock-in period and interest paid depends on the amount invested. “Interset” paid starts at up to 30% per month. What lovely colours. Shame about the “Interset”. The referral program is tiered, with referral bonuses starting at 8% for direct (tier 1) referrals. They also offer a special referral program for YouTube promoters (which kinda makes sense?). Details of the YouTube ‘platinum’ referral package. Gibberish. Read more details about this in their whitepaper. Oh wait! Their whitepaper is no longer online! EthConnect is attempting to raise $5.7 million in an ICO of 8 million coins (8.44 million if you include bonus coins). ICO starts 1st November 2017 and ends 30th November 2017. How ICO funds are distributed. From the start of December, you can lend EthConnect through their platform for returns of up to 52% per month. 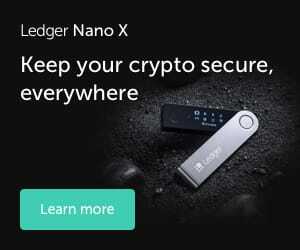 They’re also aiming to be on NovaExchange by January 2018, and Bittrex by July 2018. Of course, they also have a juicy referral program! ICO is looking to raise $2.97 million with the sale of 3.3 million coins. 700,000 are reserved for referral bonuses during the ICO. The pre-sale ends on the 27th October 2017. Couldn’t find specific details of investment returns which they promise. Details on their lending program from their website below. As usual, there’s an affiliate program which offers 8% of whatever direct referrals invest into the platform. If they recruit anyone, you get 4% – and so on. No colourful table? What a letdown. Two things stood out. First off, Elektra offer early withdrawals after 50% of your lock-in period has passed but will return your initial capital investment minus a 20% penalty. Second, they’re promising to show their trade bot (see their whitepaper, or below). Did I miss something? Anything inaccurate? Want to tell me how stupid I am? Let me know in the comments or tweet me.